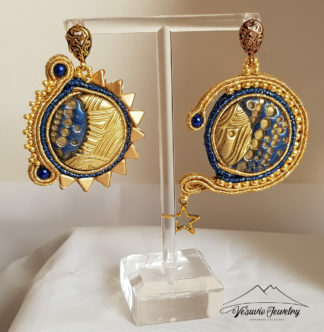 View cart “Queen earrings” has been added to your cart. 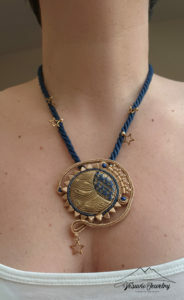 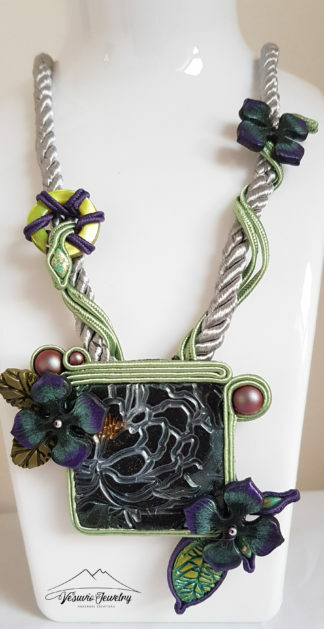 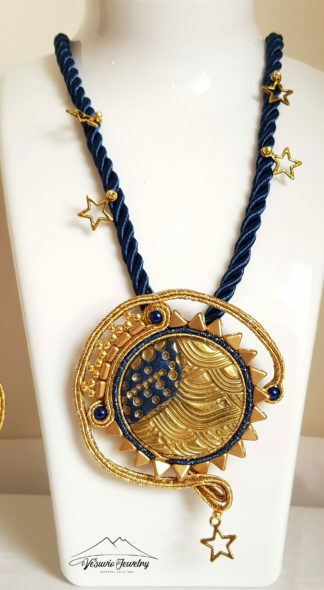 SunMoon necklace is handmade with the soutache embroidery technique, the Italian soutache cords envelop a handmade cabochon. 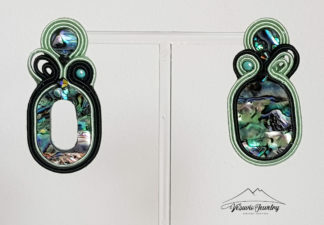 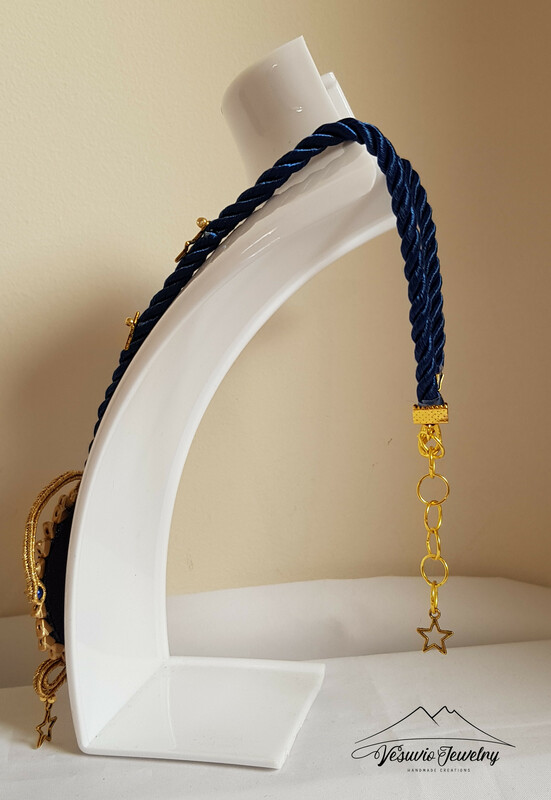 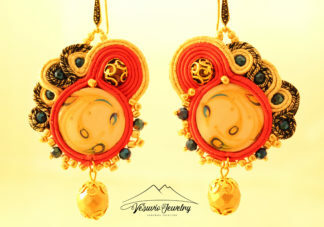 Along the edges of the cabochon and along the cotton cord there are golden decorative elements. 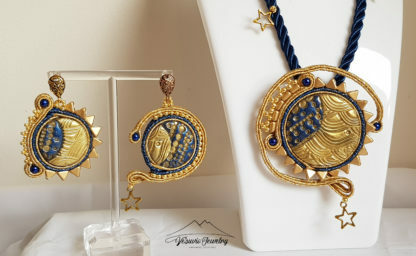 The size of the pendant is: 6,5 X 6,5 cm. The length of the cotton cord is of: 50 cm.